Antoni Tàpies made this remark in relation to his sculptural project entitled Mitjó (Sock) to the press in 1991. In this improvised way, the artist succinctly and very lucidly gave the reasons for a constant in his career: the use of everyday and at the same time universal objects in his work. 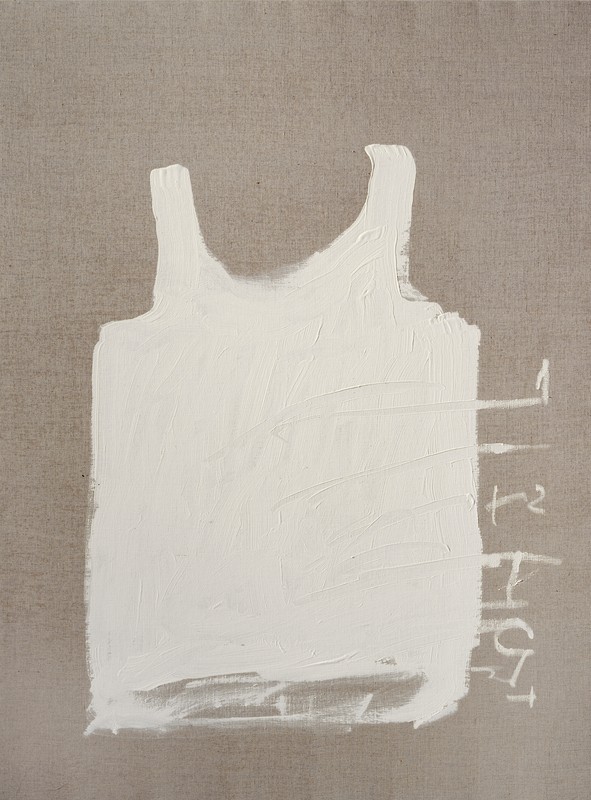 Galeria Toni Tàpies is proposing an exhibition project entitled Roba blanca (White Linens), which reflects on the value and meaning of the most intimate object in Tàpies’ pictorial work. On display will be a selection of pieces in which we will find a constant return to a series of very specific items: his personal belongings, things the artist had to hand at home or in his studio; close, familiar, simple and useful objects, among them handkerchiefs, scarves, socks, slippers, pieces of white fabric that had a life and were then abandoned and no longer used. But these are not anonymous objects; they are not random objets trouvés found by chance wherever he happened to be. These objects and pieces of fabric come from humans’ most immediate surroundings, the environment closest to them. They have been in contact with his own body or the bodies of his loved ones, fabric items that accompany and protect us from birth to our final moments. The abandoned object no longer used for the purpose for which it was created is also a cherished item, and for this reason it is difficult to part company with it, to cast it aside for good. In these works, we can identify everyday elements that were part of the artist’s most private experiences and which were given a new existence in the form of a collage on fabric or wood; once they had been manipulated, impregnated with paint or varnish, they were reborn and acquired a symbolic and universal meaning. Tàpies chose this type of material for a reason: it has a symbolic meaning that he gives to it and which speaks to us of the importance of everything that is humble, the small things that, at first glance, are insignificant. The white colour of these objects is also important, as it points us to that which is pure, clean and innocent, to plenitude, light and eternity, but also to death and mourning in Eastern cultures. In the artist’s universe, a cosmic dimension is accorded to modest, commonplace objects, those that are part of a whole. In this, there is a wish that connects with Buddhism and Zen philosophy and which showcases that which at first sight seems banal, poor or trivial. 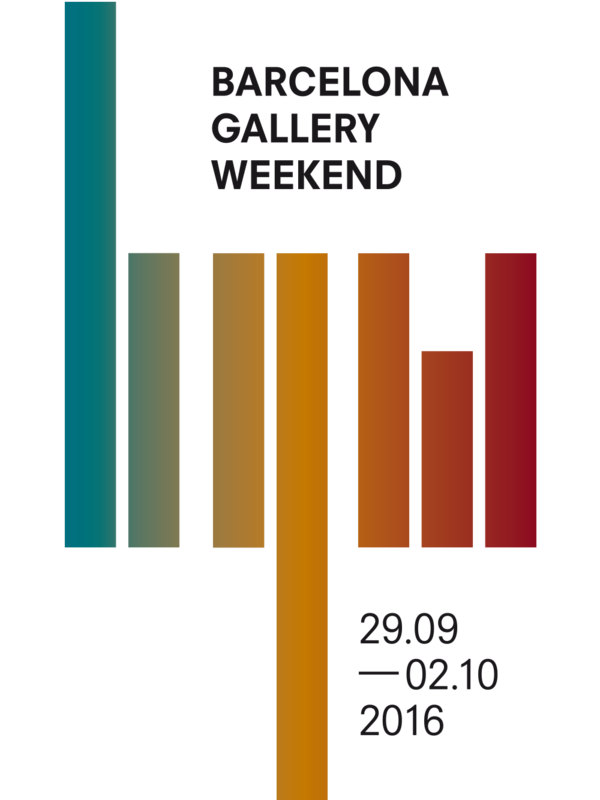 This fall Galeria Toni Tàpies will participate in Barcelona Gallery Weekend, an event for art lovers, collectors, professionals and artists which was created in 2015 with the aim of becoming one of the annual musts of Barcelona. 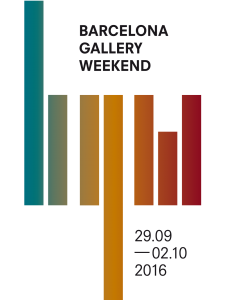 A unique weekend to discover a comprehensive programme in the most prominent city galleries, artistic interventions in special venues, guided routes, project spaces and exhibitions at the main museums and institutions. In these works, we can identify everyday elements that were part of the artist’s most private experiences and which were given a new existence in the form of a collage on fabric or wood; once they had been manipulated, impregnated with paint or varnish, they were reborn and acquired a symbolic and universal meaning.